Nelson’s Pillar, Saint Patrick and the Hill of Howth. | Come Here To Me! « Capel Street delivers once more. Nelson’s Pillar, Saint Patrick and the Hill of Howth. 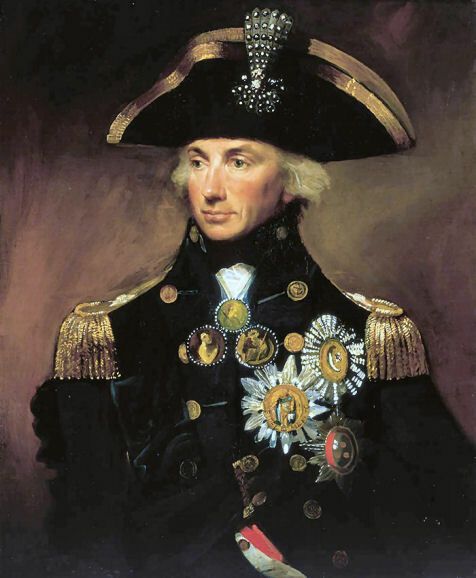 Horatio Nelson, who gazed over Dubliners from 1808 until 1966. 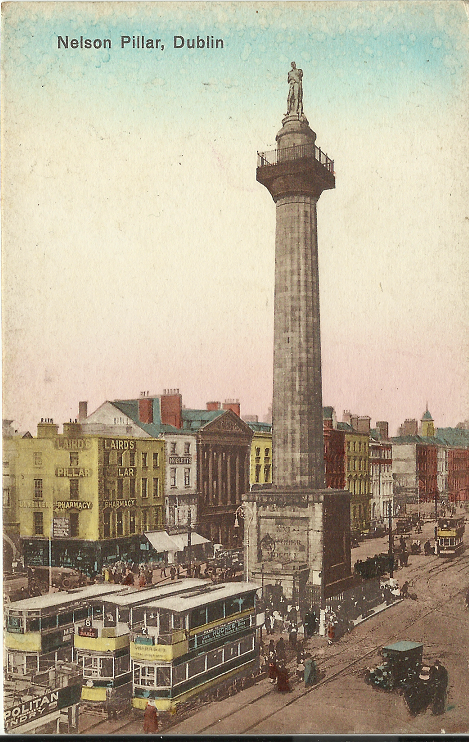 At several times during the course of its existence on O’Connell Street, the removal of Nelson’s Pillar from its location was proposed by different sections of Irish society. Interestingly, in some cases it was argued that the monument should be moved rather than permanently removed from the streets of Dublin. In 1925, it was proposed to move the Pillar to the Hill of Howth, an idea which seemed to enjoy strong support from some of the City Commissioners of the day. That won’t go down with me. One wonders why the proposal to remove the Nelson Pillar should be made now. We are told it has no political significance. The cost of taking down the Pillar would be considerable and it would be so much public money wasted at a time when the rates are very high and every penny the Commissioners can spare is urgently needed for constructive work. 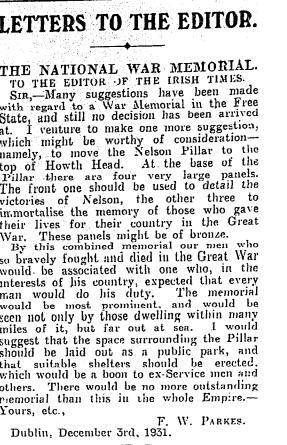 The paper outlined its belief that ‘if it was merely proposed to replace the statue of Nelson by one of some Irish celebrity there might not be any great objection’. Interestingly, over the course of the Pillar’s life, various figures were suggested for the place at the top of the monument, including Padraig Pearse and as we outlined on the site before, even JFK and the trade unionist Jim Larkin! That suggestion had come in the 1960s from the American based trade unionist Mike Quill, a veteran of the Irish War of Independence and Civil War. The Irish Times noted that Quill said his union would pay for the removal of Nelson from his pedestal and his transportation to Buckingham Palace, where he said Nelson was “respected and loved for his many and victorious gallant battles on behalf of the British Crown.” Quill wrote that he believed the statue gave the impression to visitors, owing to its sheer scale, that to the Irish it meant what the Statue of Liberty meant to Americans. Quill suggested a statue of Patrick Pearse, James Connolly or Jim Larkin be placed on top of the pillar instead of Nelson. As a compromise, “since there are two governments in Ireland today”, Quill suggested President John F. Kennedy as a statue to place in the centre of O’Connell Street. Kennedy had been assassinated only months prior in November 1963, and discussions were under way regarding a potential monument for Kennedy in Ireland. 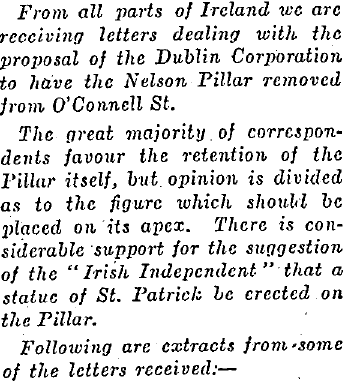 In December 1931, the Irish Independent itself put forward the idea that Saint Patrick should sit on top of the monument, and that if the statue itself was replaced the Pillar could remain in its current location. Writing in 1818, only a decade on from the unveiling of the Pillar, J.C Curwen outlined his belief that the Hill of Howth would have been a far more suitable location for the monument, as “every vessel visiting the port would then have had an opportunity of paying the tribute of admiration to the memory of that gallant hero”. Over a century later, Howth was once again being proposed as the ideal home for the monument. The man who destroyed the Pillar made Dublin look more like Birmingham and less like an ancient city on the River Liffey, because the presence of the pillar gave Dublin an internationally known appearance. Why didn’t they just leave well enough alone after tidying up the street at the end of March 1966?